Tonight is the State of the Union address. It’s not exactly a typical event that you’d think to get friends together for… but why is that? If we gather to have watch parties surrounding anything from The Oscars to Girls, we should probably take notice when the president of our country gives us a yearly update. We don’t see why that can’t be with a group of friends, some food and maybe a few drinks. State of the Union watch parties should be a tradition! So we took the time to find some State of the Union snacks, drinks, and a special drinking game to top it all off. Before you get started we feel it’s necessary to warn you: there are a lot of drinking triggers. Don’t worry, some of them are jokes and will lead to laughs, not shots. That being said, on the spectrum of drinking during the State of the Union, I would put this game at the opposite end of casually sipping wine. The quality of discussion will likely deteriorate while the intensity of debates will be sure to increase. Disclaimer: We take no responsibility for any political fights that break out. Enjoy! Budweiser (“Bud Heavy” to be specific). For some reason “the king of beers” gets buried amongst the masses of affordable domestic beer, resurfacing around July 4th when they come out with their red, white, and blue cans. We don’t really understand why that is. Not only is Budweiser an American beer- for all you patriots out there- but it’s alsointernationally recognized as a top brew. So support your country by cracking open a cold one. Independence Punch. If you follow the link you’ll see that this patriotic drink is all about aesthetics. When done correctly, the punch separates into red, white, and blue layers. And if you know a thing or two about density, you can add in your favorite adult beverage and play around with the colors. Economic Kettle Corn. This one is fitting for multiple reasons. In the current state of our economy, it’s only fitting that we select a very affordable snack. For most, this year’s State of the Union isn’t an excuse to get together with friends and drink but an update on the status of our country and a financial forecast from the big man himself. The second reason is, if you’re feeling festive, you can throw food coloring on top toadd a little extra “America”. And last, but not least given the overarching drinking theme, kettle corn makes you thirsty! Whether you’re feeling festive or not, everybody should watch the State of the Union address and there’s no reason to do it alone. 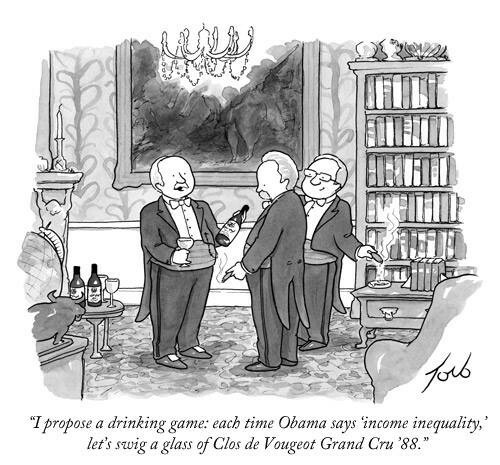 Which route will you take: casual wine sipping or shots every time the president mentions the middle class?